Raistlin casts the magical spell that cost him so much. For him, the Portal opens. . . 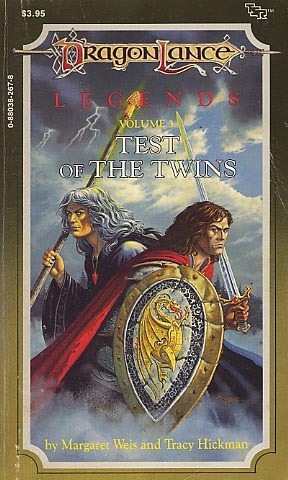 But, at the same instant, his twin brother, Caramon, operates the magical time-traveling device. The fields of magic shift and collide. Caramon and the kender, Tasslehott, are flung into an unexpected time and place where they make a horrifying discovery. And Raistlin enters the Abyss, prepared to face his most deadly challenge--Takhisis, Queen of Darkness.